I think the hammer is fine since it's also a tool Inventors would use in their workshops. with a bulky top where the hammer head is currently? That's a good suggestion, I left the file at my office at work, so it will be Monday until I get around to make the changes. Open to criticism. I can also share the illustrator file if someone else wants to take a jab at it. Maybe flip the antenna so that the ringed parts art at the top. The current design is a little phallic but not overwhelmingly so. Edited by refl3ks, 18 March 2019 - 02:29 PM. 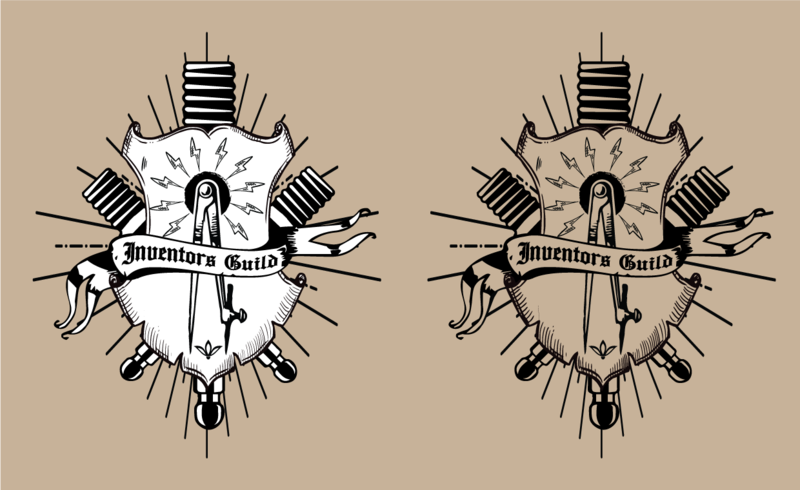 I have an Inventors Guild building in WS2, and when (if?) I re-release it, this would look great hanging around the place. Great! I can share this file with different formats to anyone that would like to utilize it. Edited by refl3ks, 18 March 2019 - 02:33 PM. Definitely not dds, either tga or some non-compressed or non-destructive compression format. Edited by refl3ks, 18 March 2019 - 03:08 PM. 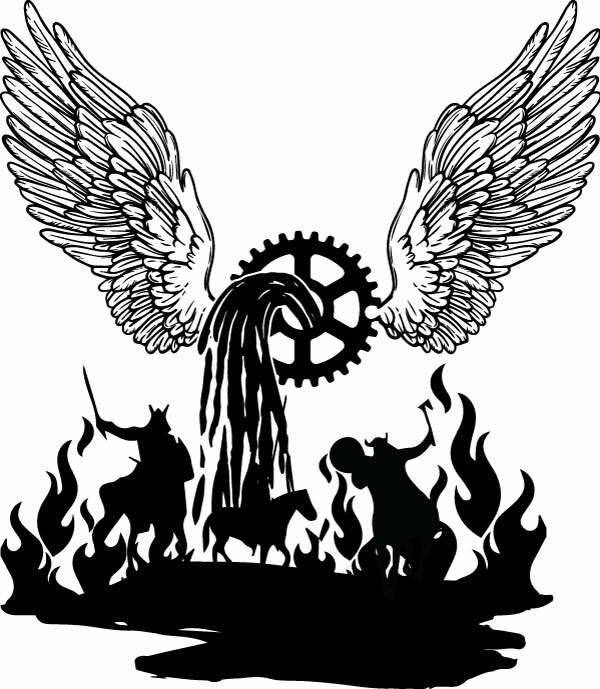 What about a Cog with angel wings pouring a river of oil from its center hole, and the oil is landing in a lake of oil that's on fire, and Barbarian horselords from the east are being burned in it? Cool! But what is the other one? Is the intention to define colours for it (since heraldic devices normally would have tinctures), or stick with monochrome as standard? I liked the original way, with the sockets not flipped, just for aesthetic purposes (the heavy side of things naturally flip downwards). I guess either way works though. Monochrome somehow works for this group, like they're using a printing press with a single plate. slightly off topic I find it strange that tesla could get his wireless electricity to work over several miles but current scientists can't get it to go beyond 9 metre's. in his invensions part of the electricity seems to go through the ground, using the ground as part of the circuit, while today everything gets earthed to the ground instead, and the ground isn't counted as part of the circuit. his test for wireless electricity was to insert light bulbs into the ground and then illuminate them with electricity from 2 miles away. I don't mind adding colors if that's what the majority wants.